Learn how to prepare the validation protocol for analytical procedures in pharmaceuticals and actual procedure for analytical method validation. 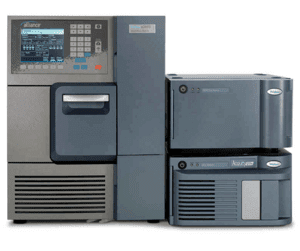 Analytical method validation is the process to confirm that the analytical procedure employed for a specific test is suitable for its intended use. Analytical monitoring of a pharmaceutical product is necessary to ensure its efficacy throughout all phases of its shelf life; such monitoring is in accordance with the specifications elaborated during product development. Method validation ensures that the selective method will give reproducible, reliable and consistent results adequate for the intended purpose, it is, therefore, necessary to define precisely both the conditions in which the procedure is to be used and the purpose for which it is intended. • Ensure and justify, through extensive testing, that the precision and consistency are in accordance with already established Acceptance Criteria. • Identify and solve the problem(s), if any, encountered during testing. • Establish confidence on the existing testing process. • Find ways and means to increase productivity and improve quality. • Assure that complete process is under control. i. To describe the work required for the Validation of the Test Method for the determination of Ciprofloxacin, This method is routinely used at the time of manufacturing and during stability studies. ii. This Validation Protocol also describes the analytical parameters to be used for the validation of the test method. iii. The method (SOP No._________) be used for the determination of Ciprofloxacin in is also explained in this protocol along with the acceptance criteria. iv. This Protocol also defines the facilities, responsibilities and equipment, apparatus, glassware, material and documents that are used for the validation studies. v. In this validation protocol, the analytical results are evaluated by the application of statistical techniques and presented by means of graphical techniques. vi. This method validation protocol applies to all test methods performed for release or stability evaluation of all strengths of Ciprofloxacin Tablets. In case there is no change or modification in the Validated Method, the Revalidation will be performed after every 5 years. Any modification or changes in the Validated Test Method (SOP No._________) being used for the determination of Ciprofloxacin should be controlled and will be entered into the Change Control Form (Form No._________) in accordance with the change control procedure (SOP No._________). Provide Justification for proposing a test method. The proposed procedure should also be validated according to this Validation Protocol. a. Turn the main power “ON” and both lamps. b. The instrument will confirm the filter automatically. c. Set the wavelength from 200 – 400 nm. d. Set the wavelength from wavelength counter. e. Fill the cell with blank and check the blank reading. g. Fill it with the K2Cr2O7 solution. If the instrument shows absorbance at the above-mentioned wavelength with limits, then the calibration has completed, otherwise, it has to recalibrate. • Take 1.2 g of Potassium chloride previously dried at 105 °C for two hours into the 100 ml volumetric flask. • Add water to dissolve and make up to volume with water. • Check the absorbance of a 1.2 % w/v solution of potassium chloride at a path-length of 1cm. • The absorbance should be greater than 2.0 at about 200nm when compared with water as reference liquid. • To prepare 0.02 % v/v Toluene, take 0.02 ml of Toluene into the 100 ml volumetric flask. Add Hexane to volume. • Record the spectrum of a 0.02 % v/v solution of Toluene in Hexane. Set of parameters and criteria there off to ensure that the system is working properly. System suitability performed during entire validation of this method, by preparing five dilutions of the same concentration of Ciprofloxacin Working Standard and shows the results of system suitability by the application of statistical techniques i.e. Mean, Standard Deviation and Relative Standard Deviation (%). Prepare 50μg/ml of stock solution in four portions by dissolving 5 mg of Ciprofloxacin in 100 ml of phosphate buffer having pH of 2.5 and pH 7.4 respectively, in 0.1N HCl and in Distilled water. Then prepare Standard solution of various concentrations (1, 2, 3, 4, 5μg/ml) by dilution from each stock solution. Found λmax of Ciprofloxacin in each media by scanning them over the UV range of 190nm to 400nm. Plot concentration vs. absorbance and prepare standard curve by scanning the standard solutions of Ciprofloxacin at the respective wavelength (λmax) of different solvents. A calibration curve is a general method for determining the concentration of a substance in an unknown sample by comparing to a set of standard samples of known concentration. A calibration curve is simply a graph where concentration is plotted along the x-axis and absorbance is plotted along the y-axis. After making several Calibration Standards at different concentrations. After running each one on the instrument and getting the absorbance, the points are then plotted on the graph. The points are then connected with a line. That line represents the calibration curve. i. Prepare solution of Ciprofloxacin Working Standard at concentration 0.01 mg./ ml. in different media i.e. 0.1 N HCl, Distilled Water, Phosphate Buffer pH 2.5 and Phosphate Buffer pH 7.4 and scan over the UV range 190 to 400 nm to determine the λmax. ii. Prepare 5 dilutions of Ciprofloxacin Working Standard at conc. i.e. 1, 2, 3, 4 & 5 µg./ ml. iv. Subtract the reading of blank from the reading of the solution to get the correct value. v. Draw the Calibration Curve. The lowest amount of analyte in the sample which can be detected but not necessarily quantitated. Analysis of sample with a known concentration of the analyte and by establishing minimum concentration at which analyte can be reliably detected. LOD may also be calculated based on the standard deviation (SD) of the response and the slope of the calibration curve (S) at levels approximating the LOD according to the formula: LOD =3.3(SD/S). The standard deviation of the response can be determined based on the standard deviation of y-intercepts of regression lines. The lowest amount of an analyte in a sample which can be quantitatively determined with a suitable precision and accuracy. Analysis of sample with a known concentration of the analyte and by establishing minimum concentration at which analyte can be reliably quantitated. LOQ may also be calculated based on the standard deviation of the response (SD) and the slope of the calibration curve (S) at levels approximating the LOQ according to the formula: LOQ =10(SD/S). The standard deviation of the response can be determined based on the standard deviation of y-intercepts of regression lines. The difference between theoretical added amount and the practically achieved amount is called accuracy of the analytical method. Accuracy was determined at 5 different level 50%, 75%, 100%, 125% and 150% of the target concentration in triplicate. ii. Prepare three (3) replicate for following levels. • The coefficient of determination (r2) should be greater than 0.9998. • The % RSD of the assay or recovery values should not be greater than 2.0%. Precision is the degree of repeatability of an analytical method under normal operational conditions. Precision may also be explained by the terms, Intermediate Precision and Repeatability. Intermediate precision refers to variations within a laboratory as with, different instruments, by different analysts, and so forth. • Prepare ten replicate samples solutions from the same composite sample according to the analytical method by three different analysts keeping the other condition same. • Calculate the assay results for each sample. Repeatability refers to variations within a laboratory as with different days, different equipment etc. keeping the other conditions same. • Prepare ten replicate samples solutions from the same composite sample according to the analytical method by one analyst keeping the other condition same. •The % RSD of the assay or recovery values should not be greater than 2.0%. When the procedure is carried out in different laboratories using different equipment, reagents by using the sample from the same homogenous batch in each case. Evaluate the results obtained from the variability of the analyst–to–analyst, day-to-day, laboratory-to-laboratory, equipment-to-equipment etc., this analytical data will provide information about the reproducibility of the test procedure. • Arrange for the testing of the sample from the same batch using the same analytical procedure from any other laboratory. Robustness is the measure of the capacity of an analytical method to remain unaffected by small but deliberate variation in the procedure. It provides an indication about the variability of the method during normal laboratory conditions. • Prepare ten replicate samples solutions from the same assay composite sample according to the analytical method by one analyst keeping the other condition same. • Prepare another ten replicate samples solutions from the same composite sample according to the analytical method by one analyst with a minor deviation i.e. 15 minutes sonication instead of 30 minutes stirring, keeping the other condition same. Degradation information obtained from stress studies (e.g., products of acid and base hydrolysis, thermal degradation, photolysis and oxidation) for the drug substance and for the active ingredient in the drug product. The standard deviation is a measure of how widely values are dispersed from the average value (the mean). The statistic used as a measure of the dispersion or variation in a distribution, equal to the square root of the arithmetic mean of the squares of the deviations from the arithmetic mean. A measure of the interdependence of two random variables that range in value from –1 to +1, indicating perfect negative correlation at –1, the absence of correlation at zero, and perfect positive correlation at +1. Also called coefficient of correlation. Weigh and transfer 58.2 mg. Working Standard (Ciprofloxacin HCl) equivalents to 50 mg. Ciprofloxacin into 100 ml. volumetric flask add 10 ml. of 0.1 N HCl and shake to dissolve make the volume up to the mark with 0.1 N HCl and mix thoroughly. Filter the solution through Whatman filter paper; discard the first 10 ml. of the filtrate. Pipette out 1 ml. of the filtered solution to a 100 ml. of volumetric flask and make the volume up to 100 ml. with 0.1 N HCl and mix thoroughly. Weigh 20 tablets and determine the average weight Powder 20 tablets and mix thoroughly, weigh and transfer a quantity of powder equivalent to 250 mg. of Ciprofloxacin into 500 ml. volumetric flask adds 100 ml. of 0.1 N HCl allow stirrer using magnetic stirrer for 30 minutes and make the volume up to the mark with 0.1 N HCl and mix thoroughly. Pipette out 1 ml. of the resulting solution to a 100 ml. of volumetric flask and make the volume up to 100 ml. with 0.1 N HCl and mix thoroughly. It consists of 0.1 N HCl. Operate the Spectrophotometer according to SOP and measure the absorbance of the sample and standard preparation at λmax 276 nm of Spectrophotometer using blank preparation for adjusting the instrument. The buffer solution was prepared by adding 2.7218 g. Potassium Dihydrogen Phosphate (KH2PO4) and 8.709 g. Dipotassium Hydrogen Phosphate (K2HPO4) in 200 ml distilled water. pH of the solution was adjusted to 7.4 by Sodium Hydroxide (NaOH). 0.83 ml of 37% pure concentrated HCl was taken in a 100 ml volumetric flask. The volume was made up of distilled water and the content is thoroughly mixed it by shaking. Validation of Test Method (SOP No.__________) being used for the Determination of Ciprofloxacin HCl in 250, 500 and 750 mg. Tablets will be performed in Chemical Lab. at ____________________ (Company Name and Address). For the routine analysis this method validation is fine. But for stability study this will not workable considering the impurity development in the product during the stability. There should be stability indicating method by HPLC.